California’s clean energy economy keeps growing and Los Angeles has more green jobs than any other region in the country. The Golden State also has close to 300 green-job training programs that train more than 15,000 students per year. Reflecting previous studies, the report found that the West has the largest share of jobs relative to its population and that California has the highest number of clean jobs, 318,156 to be exact, or 2.1% of its workforce. The annual wages are $46,400. 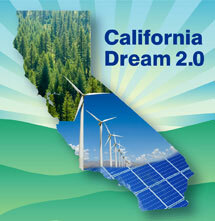 The second report, Green Jobs and the Los Angeles Region, was released by the Californians for Clean Energy and Jobs Network. In addition to having the most green jobs in the country, it found that those jobs, totaling 178,500 positions, are likely to more than double to 433,000 by 2040. The rapid growth is triple the rate of the rest of the region’s economy over the last 15 years and is attributed to California’s commitment to clean energy. The jobs are also well-paying, commanding a 50-100 percent premium over the average job. For those that want to learn more about green jobs and how to find one, visit Green Jobs California, a first-of-its kind green job portal. The site can help: inspire people to pursue a career within the green economy; connect them to the training they need; and expose them to online resources, including job boards, that they can use to land the job of their choice. Targeted for students, job seekers and guidance counselors that want to join or learn more about the state’s growing green economy, Green Jobs California features multimedia and online green career planning tools to simplify a process that can be overwhelming. It also features a digital version of EDF’s acclaimed Green Jobs Guidebook, an expansive, searchable listing of positions that includes job descriptions, salary ranges, education requirements and more. You can also visit EDF’s 2010 Green Economy Map featuring more than 3,500 green businesses that can be sorted by industry type and location. California continues to benefit from its clean energy policies and there’s no better time to discover the opportunities in this exciting and promising growing clean economy.